Have fun and eat great food at these events! So you’re in Tokyo in April 2019 and you’re looking for food events? Here are a few we recommend! When you think of Japanese food what immediately springs to mind? Okay, most likely sushi. But after sushi? Probably ramen. Ramen is the ultimate comfort food: a hearty dish of wheat noodles and broth (typically pork) with various toppings such as boiled egg, pork and seaweed. You may be unaware that ramen actually originates from China, hence the word “ramen” typically being spelled using the Japanese alphabet for foreign words (Katakana) – “ラーメン”. Historically, ramen was the perfect meal for construction workers who had little time to spend eating lunch and needed to cram in as many calories as possible before continuing their arduous tasks. Nowadays, ramen is the go-to food for a late night meal and you’ll see ramen joints brimming with business men after work. As ramen joints may be seen as a bit of a boys’ club, some women feel discouraged from eating alone. 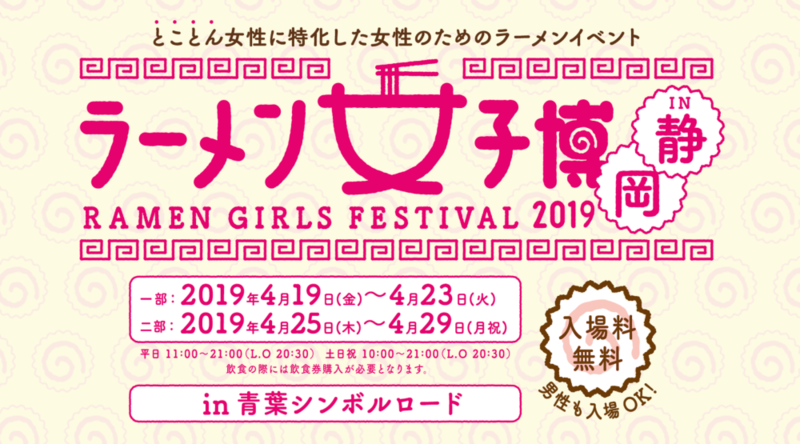 The Ramen Girls Festival is a celebration of the women of Japan embracing the ramen culture. Despite the title, any gender is free to join in! The cost of a cup of ramen is decent, only 800 yen. Last orders are at 8.30pm! Tokyo has a big coffee scene with a myriad of artesanal coffee shops scattered city wide. If you’re a coffee lover and in Tokyo during this weekend (13th-14th), you’re in luck. No need to scour the city for the perfect coffee, just take a trip to the United Nations University Farmers Market! The food market itself is on every weekend, but it’ll be specialising in coffee this particular weekend. Did you know that coffee can be grown in Japan? Not only will there be coffee available to try and buy from coffee farms in Africa and South America, but also coffee from Kagoshima, the mainland’s most southern prefecture, and Okinawa, the south set of islands, is also available! Last year, as well as coffee, the market sold t-shirts, mugs, crafts and candles (made from soy wax and recycled coffee grinds!). We can’t wait to see what they’ll have on display this Spring. There will also be an array of treats to purchase such as cake, muffins and ice cream – oh, and music! Date and time: April 18th – 19th 2019 – 16:00 – 21:00, April 20th 2019 – 11:00 – 18:00. Sake is Japan’s most well known and popular alcoholic beverage. It’s a sweet fermented rice drink with an average alcohol percentage of 15%. It’s usually served out of a porcelain bottle into small cups, called “choko”, specifically designed for sake. Sake can be enjoyed hot, cold or room temperature – depending on the weather. Though many say it tastes best chilled, as heating it may cause loss of flavor and aroma. Like other drinks in Japan, sake is usually served to you – i.e. you don’t pour for yourself, and if you’re with friends, you should pour for them. It’s also customary to cheers before you drink it, by shouting “kampai!” and clinking glasses with your company. Like wine, it is recommended that you take a small sip and savor it on your palate before drinking it. 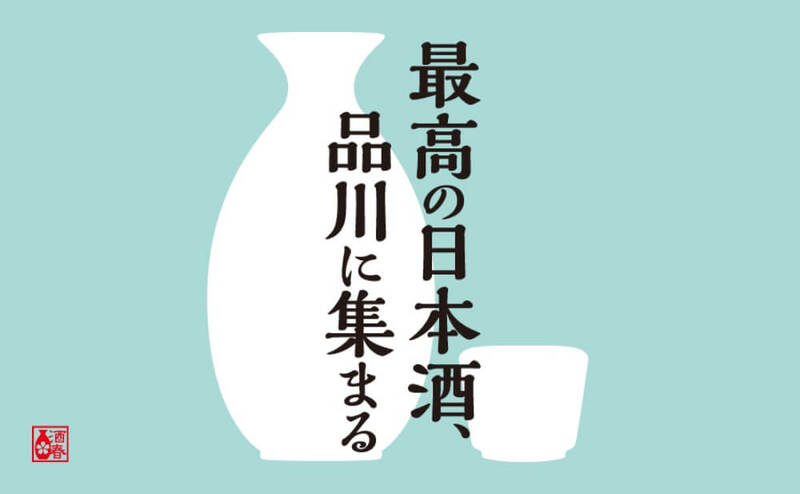 At the event, you’ll be able to try all sorts of sake from around Japan, as well as learning about the history and ritual behind sake drinking. There will also be food from Kyoto and Tokyo – specifically chosen to pair well with the sake. You can also swap one of your drink ticket for food. 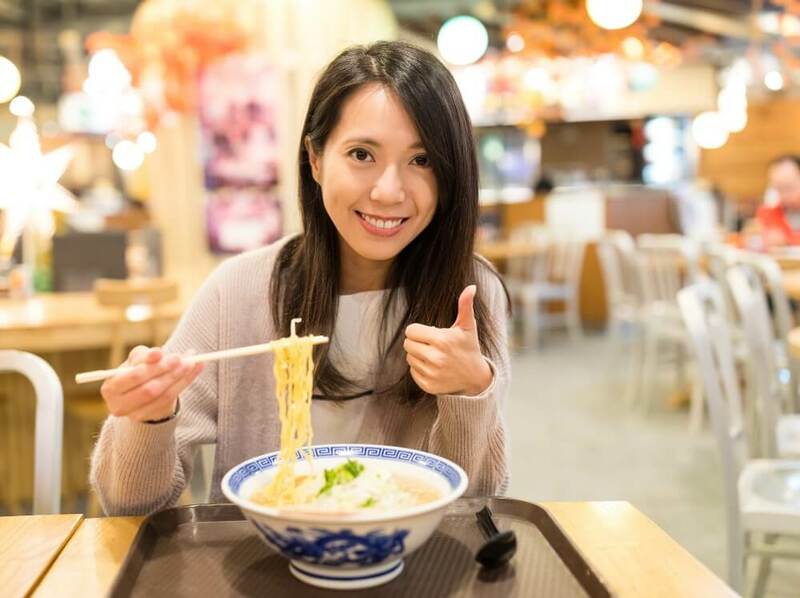 If you can’t join the Ramen Girls Fes, why not joining our ULTIMATE ramen experience in Tokyo?